The impact of Star Wars on pop-culture has been colossal. Whoever has seen the movies would carry remnants of its impact. Maybe you’ve started paying attention to your physics teacher more. If you’re older maybe it has affected your career and life choices. Moviegoers can’t help but get sucked in the Star Wars imaginarium because it is simply out of this world. Collect all cool Star Wars themed items and get closer to a galaxy far…far…away. The battle of good and evil is for your appetite as you gobble down some tasty Asian cuisine with these lightsaber chopsticks! Totally weird and totally unique. Watch these lightsabers clash as you gobble down one more piece of sushi. Lights are more dramatic when you eat in the dark! Get up close and personal with a star, that is the death star as it lights up your room from a LED 3D projecting device. This lamp is a great complement to a modern themed interior or give it as a gift it to a Star Wars fan. Each of these energy efficient Led bulb has a lifespan of 50,000 hours. 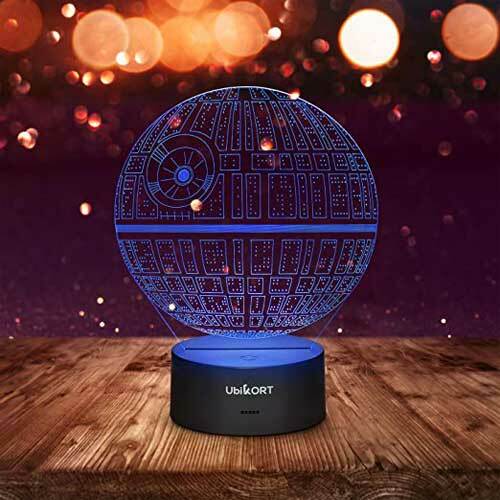 This means that your 3D Lamp Star Wars Death Star light will LAST A LIFETIME. 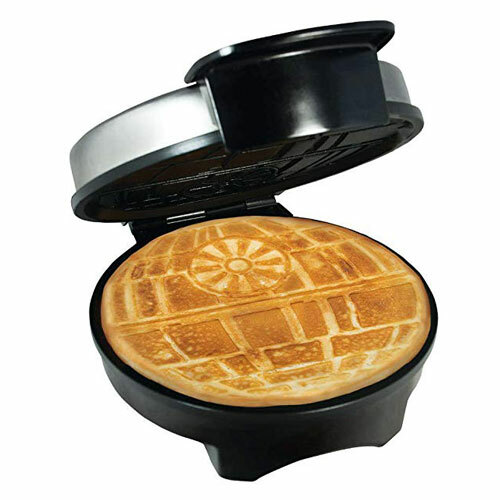 The death star gets a humble downgrade as a tasty waffle in this super unique waffle maker. Gobble down a piece and save a planet. It has five temperature settings that let you make waffles tender and golden or brown and crispy with a turn of the dial. Also good for eggs, brownies, cakes, quesadillas and can even be used as a sandwich press! Look twice and see that the Millennium Falcon is more than just a super-fast spaceship. 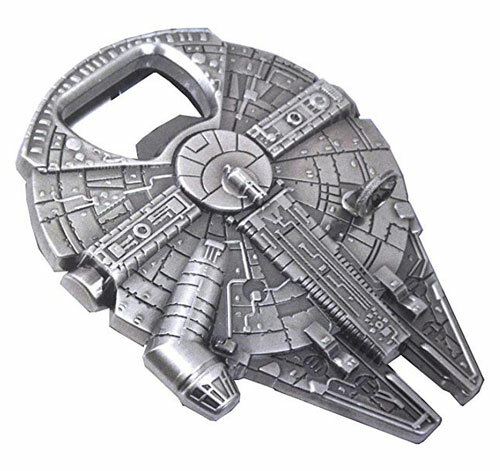 It’s also a supercool futuristically designed bottle opener! This is made from high-quality zinc alloy and has solid construction. Choose your side and make a statement in a big, bold print on your coffee mug. The Jedi masters are the absolute cool ones on the light side of the force. 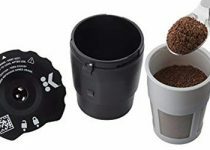 This novelty mug is made of high-quality ceramic. 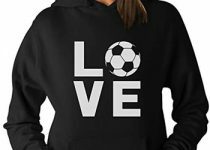 It is perfect for coffee, tea, hot chocolate, wine or beer. 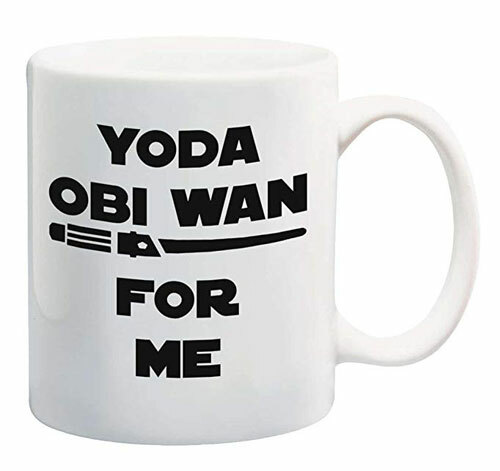 This mug makes a wonderful Holiday gift for your Star Wars Loving Friends – Grandma, Grandpa, Husband, Wife. Make sure they are Jedi. Get a death star replica to pop you some pop corn as you watch the original blow up some planets while you watch the Star Wars Saga. 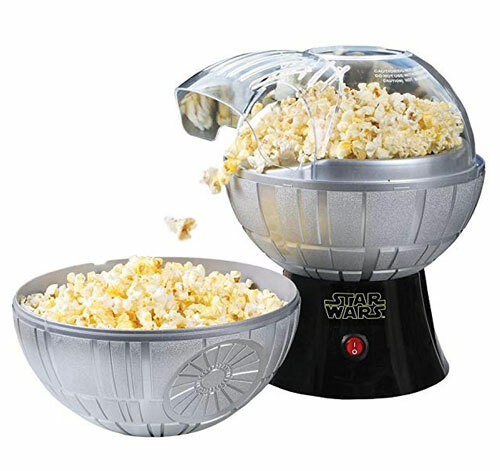 Popper heats with hot air, creating bright and fluffy popcorn you can season however you’d like. This machine makes delicious popcorn in minutes. 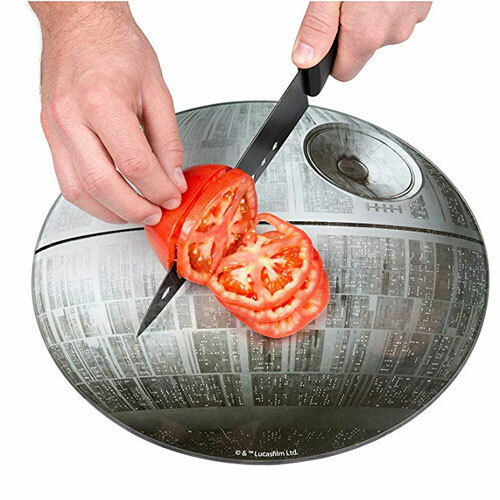 The top half of the Death Star conveniently doubles as a fun serving bowl. 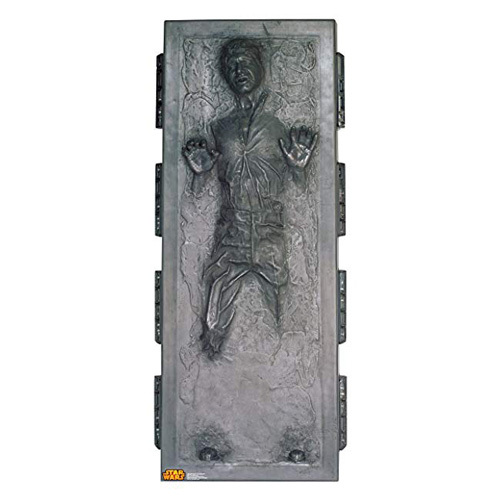 Put it on display when not in use – makes a great addition to your Star Wars collection. Be surrounded with all the Star Wars heores and villains and relieve the fantasy on-screen. Everything is completely harmless and 2D cardboard. Get this prop for parties or functions and get some realistic looking out of this world selfies! 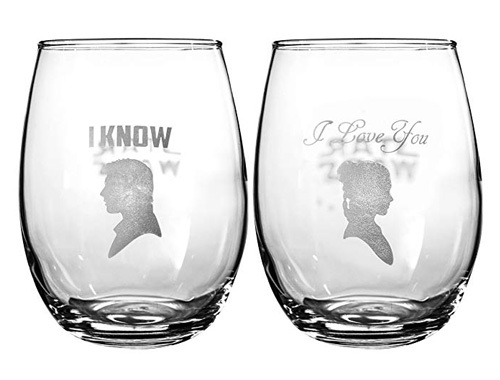 Toast with your significant other and be two halves of a whole just like Star Wars couple Hans Solo and Princess Leia. Love can only be an intergalactic adventure! This set is a perfect gift for any adult Star Wars fan. The different colors of a lightsaber are like the different colors of a rainbow. Get the dark side and the light side represented in one mug and balance the force. 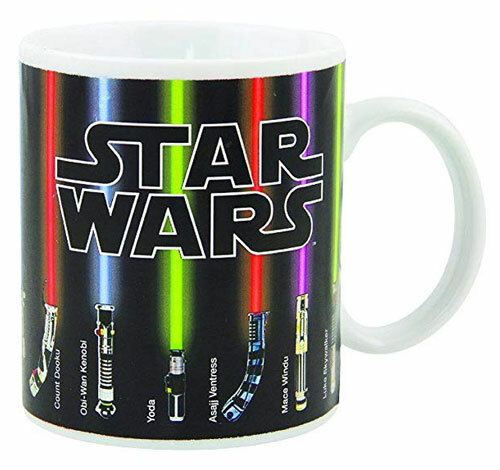 Thelightsabers images are heat activated and magically appear from the hilts, the color-changing mugs are thermochromatic, which is a scientific word for magic. 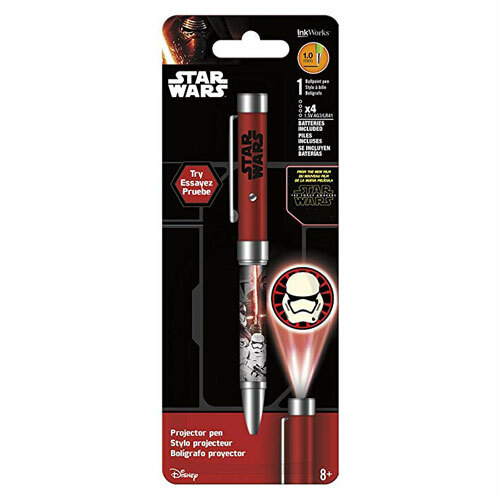 Always point your audience to the right direction with this projector pen that highlights your powerpoint presentations with star wars icons. This collector’s items has dualfunction. It has high quality color graphics on penlight and has an actual ink pen on the opposite side. Perhaps this book can help you choose a side. Delve deeper into the concept of good evil Star Wars style in this absorbing book of teachings of masters of either sides. The Jedi Path is the ancient training manual that has educated and enlightened generations of Jedi, including Yoda, Qui-Gon Jinn, Obi-Wan Kenobi, and Luke Skywalker. They have handwritten their comments into this text, the only remaining copy in existence. 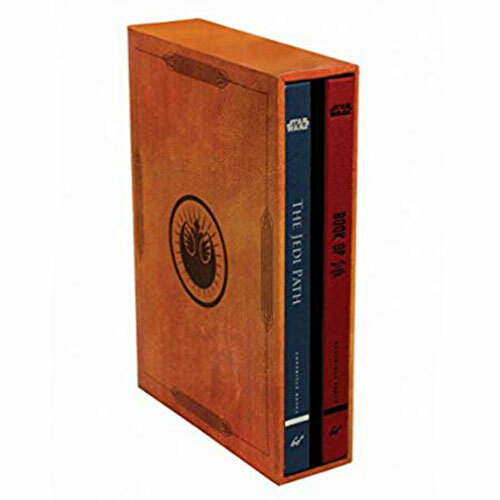 Book of Sith is a compilation of six legendary dark texts gathered and bound together by Darth Sidious, and featuring comments from Darth Vader, Mace Windu, Darth Maul, and others. 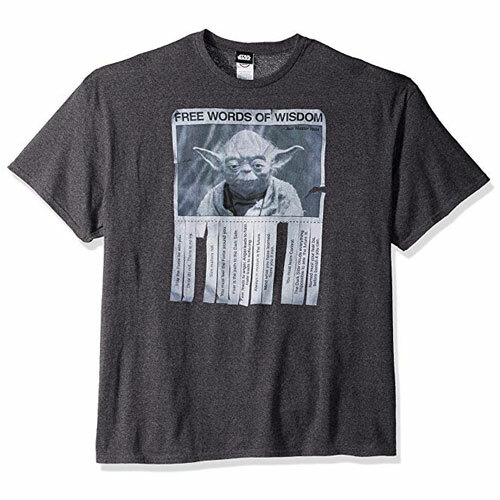 Get one of Yoda’s immortal sayings and carry it with you on the path to Jedihood. This shirt offers it free with the familiar face of the cute looking master out to guide you in your life’s journey. 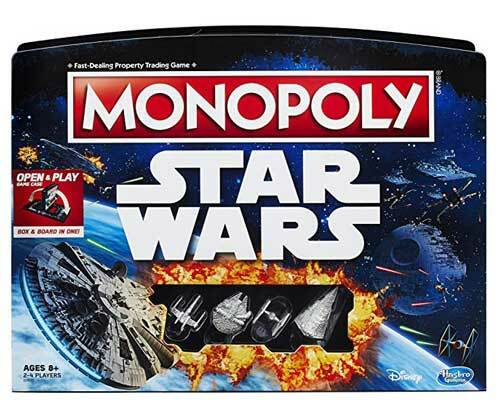 Monopolize the galaxy or at least a board game with this Star Wars monopoly themed set. Buy and collect rent from iconic Star Wars locations. Use the Force for special abilities. This game features open and playcase. It includes gameboard, 2 dice, 4 ship tokens, 64 cardboard property markers (16 for each ship), 16 Chance cards, 1 money pack, and game guide. Build your very own Millennium Flacon from Lego blocks! Legos are classic and they remain to be a satisfying, mentally stimulating creative play. 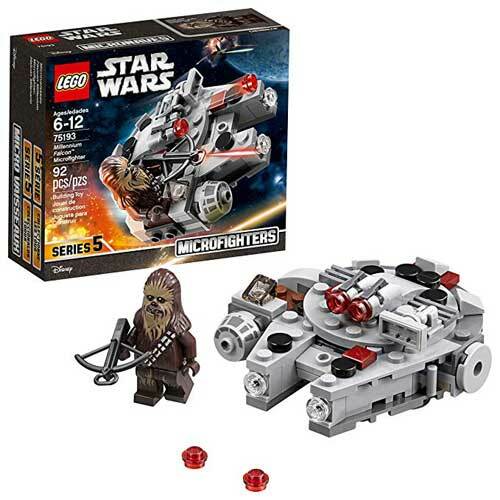 Easy to build Star Wars spaceship playset includes a Chewbacca figure. 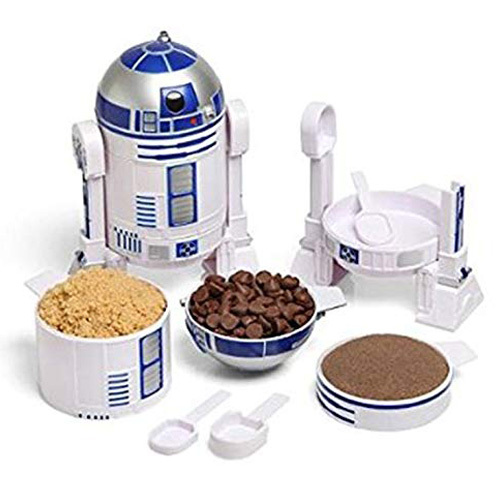 Take apart this R2D2 figure and you will discover that he can be turned into measuring cups, spoons and bowls! It’s absolutely clever. Put him back together and no one will ever know that’s he’s one amazing kitchen helper! 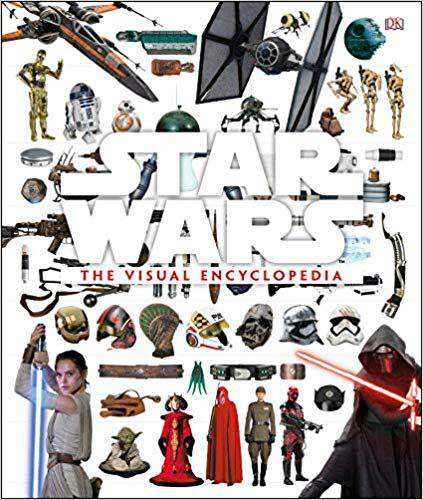 If you are a true-blueStar Wars fan you would want to know every terminology in the Star Wars lore. This book has it all compiled in alphabetical order. Read and be enlightened. How will Darth Vader fare as a babysitter to his two pesky children? 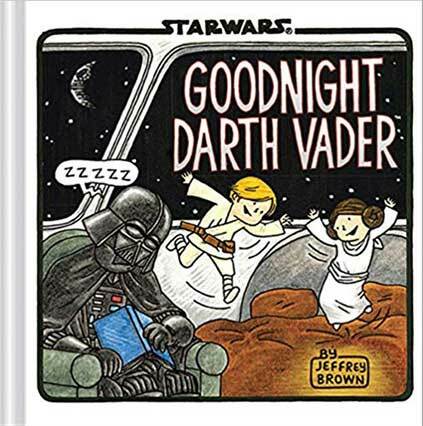 It’s bedtime in the Star Wars galaxy, and Darth Vader’s parenting skills are tested anew in this delightful follow-up to the breakout New York Times bestsellers Darth Vader™ and Son and Vader’s™ Little Princess. In this Episode, the Sith Lord must soothe his rambunctious twins, Luke and Leia—who are not ready to sleep and who insist on a story. 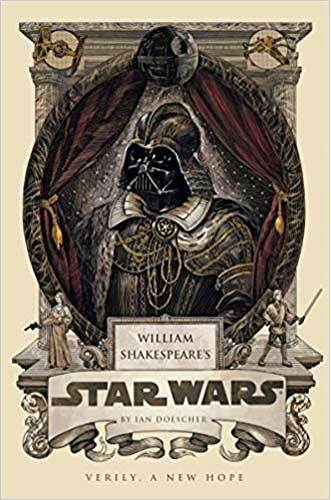 As Vader reads, the book looks in on favorite creatures, droids, and characters, such as Yoda, R2-D2, Han Solo, Chewbacca, Darth Maul, Admiral Ackbar, Boba Fett, and many others as they tuck in, yawn, and settle down to dream. Get a unique Star Wars themed item you’ve made with your own hands! This book will teach you how in clear step by step fully illustrated guides. Chewbacca Sock Puppets. Ewok Flower Vases. AT-AT Herb Gardens. 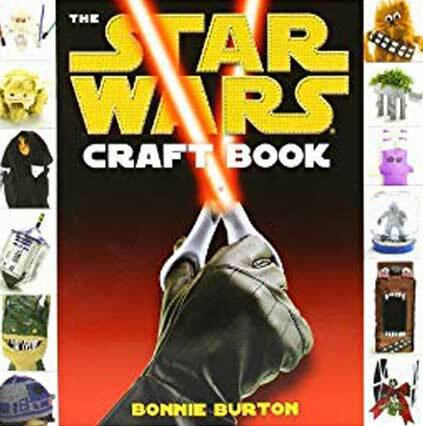 With The Star Wars Craft Book,fans of all ages and skill levels can bring the best of the galaxy far, far away right into their own homes. 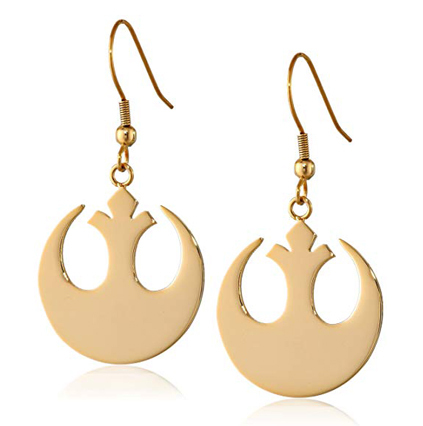 Wear your allegiance with the Star Wars Stainless Steel Rebel Alliance Dangle Earrings! This exquisite earring set comes in gold and silver plate and will look stylish with any outfit. It comes in an official box making it a perfect gift for any Star Wars fan. Ever wondered what Star Wars food tastes like? Boba Fett-Uccine and Princess Leia Danish Dos are just the beginning when the Force is with you in the kitchen. Wookiee Cookies is your invitation to fine culinary experiences in the Star Wars frame of mind. 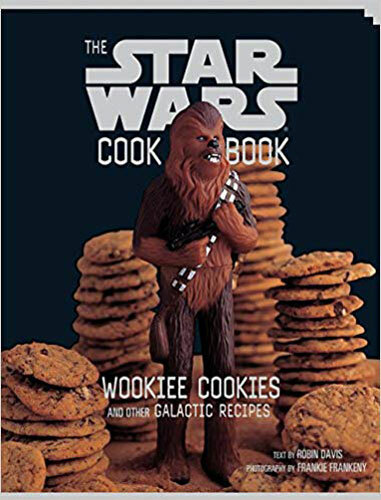 From C-3PO Pancakes to Jedi Juice Bars, this intergalactic Star Wars cookbook features healthy snacks, delicious dishes, sweet treats, and easy main courses no Rebel can resist. 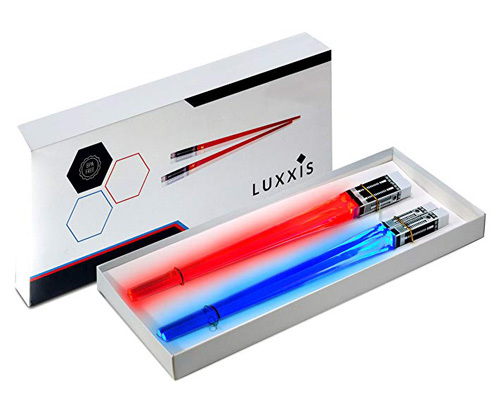 Star Wars fans will love these light saber pencils! 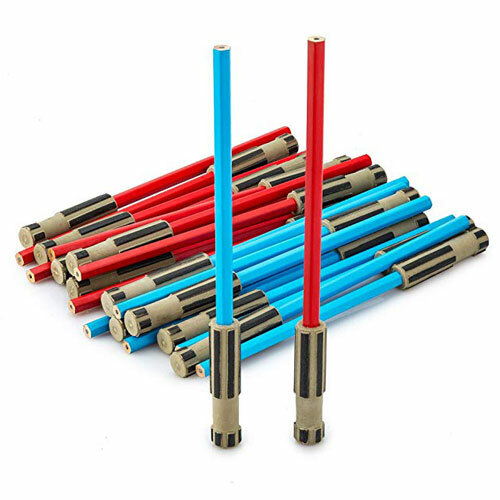 High quality pencils with a 3d eraser to look just like a lightsaber. Complete your Star Wars themed party with this cleverly designed party favor! Hand out a light saber pencil to your Padawans and let them choose their side! Complete your space themed kitchen with a Death Star chopping board! Odor and stain resistant, hygienic glass surface, 350°F heat resistant, protects counter tops. Has a non-slip rubber base, and a good cutting or preparation surface and can also be used as a trivet. Get some juice with a Darth Vader themed tumbler. 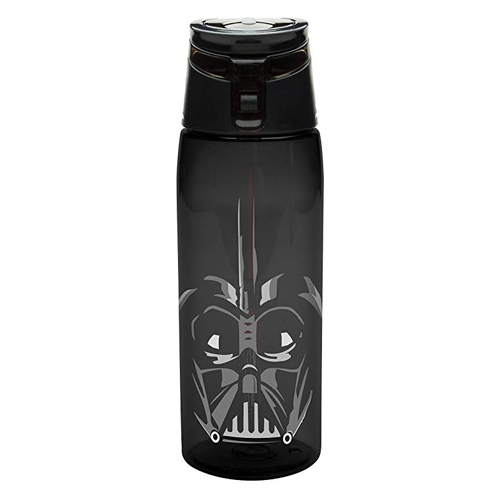 This 25-ounce Star Wars water bottle is made of durable tritan and dishwasher safe. It’s perfect for your Star Wars fan! Times up and I will have to blow your planet to smithereens! Wait! That’s only the tick tock of a Death Star Kitchen Timer. Get those cookies out! Destroys planets, not baked goods! 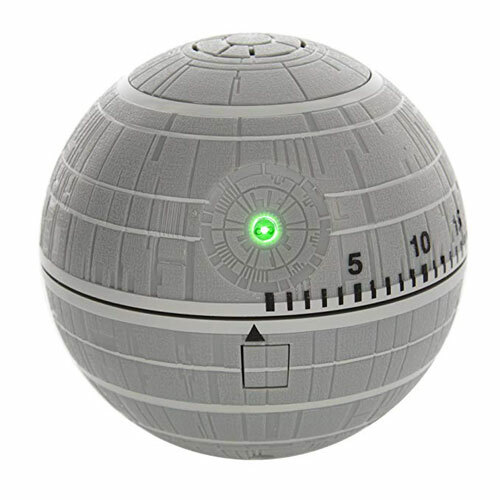 When the Death Star timer goes off, it emits a green LED superlaser light and plays sound effects inspired by the Star Wars films!